A woman sits on a low four-legged stool before a three-handled kettle which rests on a tripod over the fire. 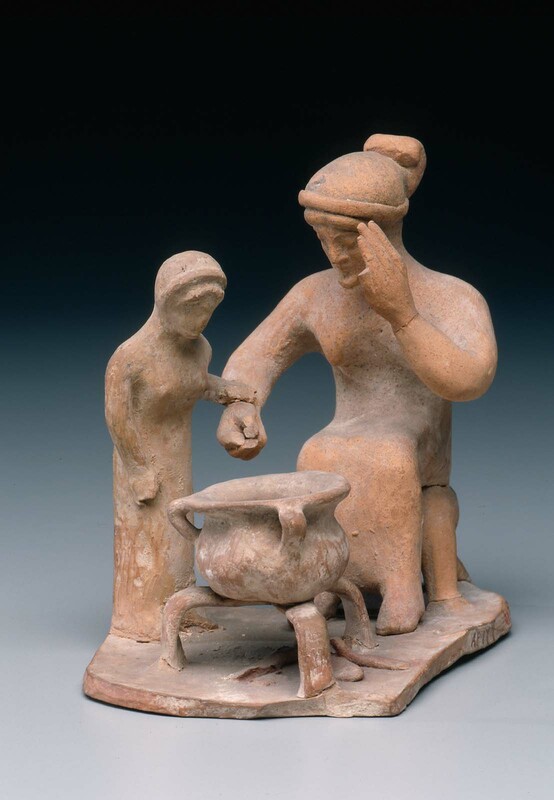 A small figure at her side peers into the pot. NOTE: J. Uhlenbrock, Sept. 26, 1995, feels the two figures do not belong together and base is modern.